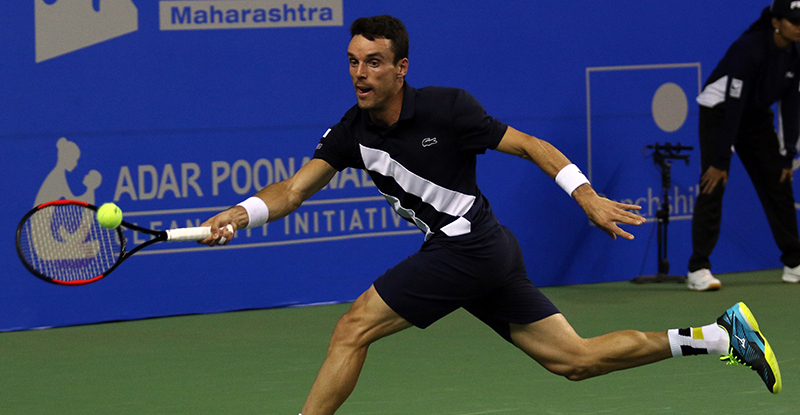 Tata Open Maharashtra | Bautista Agut: The Master of making great comebacks! Bautista Agut: The Master of making great comebacks! Roberto Bautista Agut won his second ATP title of the year at Dubai Duty Free Tennis Championships. He beat Frenchman, Lucas Pouille, in straight sets, 6-3, 6-4 to win his first ever ATP 500 title. “This tournament is very special, it is for sure going to be in my heart and I am so happy I have won a 500 event,” said Bautista Agut. "I didn't give him all the court, all the control of the game, I was mentally strong. I could come back into the match playing very good tennis (in the second set)," he added. The year, 2018 has been nothing less than a roller coaster ride for the Spaniard. After earning a first-round bye at the Tata Open Maharashtra in Pune, he lost to the eventual champion Gilles Simon in the second round. He came back strong at the Auckland Open and won the first title of the year after taking down the Argentine, Juan Martín del Potro in 3-sets, 6-1, 4-6, 7-5. During the Australian Open (first Grand Slam of the year) Bautista Agut's journey was short-lived. He lost to fellow Spaniard, Fernando Verdasco in the first round in three straight sets, 6-1,7-5,7-5. In Open 13, Marseille, he showed resilience but eventually lost to the Frenchman, Julien Benneteau, 7-6, 7-6. The Spaniard, dropped just one set on his way to the final in Dubai, where he took down out-gassed Lucas Pouille in two easy sets, 6-3, 6-4. Since turning pro, Bautista Agut has come a long way and the title at Dubai will definitely add to his confidence to go on and win many more. After emerging victorious at the Dubai Duty Free Tennis Championships, Bautista Agut jumped 7 spots and is now ranked 16th in the world. It will be a sheer treat to see him perform in the upcoming tour as the ATP Masters at Indian Wells and Miami are just around the corner.